While white women's experience of colonial India has been receiving a great deal of attention in cultural studies for a number of years now, their interactions with Indian women-which must undoubtedly have been interesting, complex, riddled with contradictions-have, surprisingly enough, not been looked at closely. This anthology of European women's writings has been compiled with this very purpose of trying to look at white women's perceptions of colonised women and to capture some of their intricacies. The journey that this collection makes through white women's writings is a fascinating one. Drawing from a rich and varied range of first-person accounts, journals, diaries, letters, memoirs, travel narratives, missionary tracts, sociological studies, as well as a sprinkling of novels and short stories, it offers us glimpses into white women's perceptions of colonised women. The idea behind juxtaposing such diverse materials is, in fact, to capture the range of these writings and to throw into sharp relief their different facets, nuances, tensions and contradictions. This anthology spans a fairly long period, stretching from around the 1820s to the 1920s. And as these writings are mapped along the historical shifts and changes that took place in course of this period, they also help to throw light on the shifts as well as continuities in the nature of these colonial encounters. For a long time the memsahib was demonised as the villain of Empire and blamed for "many of its evils, especially for racism. The last two decades, however, have seen much re-thinking about her role, resulting in shifts and changes in attitudes to the memsahib. During this process of re-thinking, there was an initial phase when she was projected as the victim of a male-centric colonial enterprise.? Today, however, she is perceived in a far more nuanced manner as both a victim as well as a beneficiary of colonialism." It is now recognised that while she undoubtedly suffered marginalisation and gender disadvantages with regard to the men of her own community, she was also a beneficiary of imperialism and enjoyed the race and class privileges of belonging to the ruling elite group. This collection seeks to correct a widely held impression that white women's writings were silent on "encounters with Indians - other than their servants.?" It is indeed true that the vast majority of these women were deeply self-absorbed and dwelt exclusively on white life in the Angle- Indian stations in their writings an attitude perhaps best summed up in a remark made by an un-named-memsahib to Julia Maitland in the 1830s: "Thank goodness, I know nothing at all about them, nor I don't wish to: really I think the less one sees and knows of them the better!"? However, while the vast majority of women did maintain a self-absorbed silence on 'native' India, there were, at the same time, several others who did write copiously on the subject, as this anthology seeks to show. Englishwomen's colonial interactions with local women were made through the prism of race, class, caste, religion and region. Generally speaking, for much of the period under scrutiny, memsahibs interacted mostly with women who belonged to the lower classes and castes, such as dhobins (washerwomen), hill-women, wives of malis (gardeners) and grass-cutters. Of course, the closest encounters on a day-to-day basis were with the wet-nurse and, especially, the ayah. Occasionally, white women met 'native' women belonging to upper- caste/class households, who observed purdah. Women missionaries especially, visited such secluded women and wrote copious and detailed accounts about these encounters. In addition, memsahibs (administrators' wives) sometimes called on elite women from aristocratic and princely families, such as the wives of 'native' chiefs with whom their husbands who were East India Company servants, would be carrying out official negotiations. From around the late nineteenth century onwards, they also met at 'purdah parties'' at these gatherings organised by white women for Indian female guests, upper- class women from both races would meet on a footing of some amount of equality. Moreover, roughly around the same time, white women also started interacting with emancipated, western-educated Indian women, some of whom were associated with the nationalist movement. Thus, in all these varied encounters with colonised women, European women were positioned diversely-as evangelical proselytisers, sexual competitors, imperialists, maternalist reformers, secular missionaries, domestic employers and educationists. With few Englishwomen around, the general trend was to take Indian mistresses." William Hickey, attorney in Calcutta in the late eighteenth century, described his mistress Jemdanee who later died in giving birth to his son as "gentle and affectionately attached a girl as ever man was blessed with." In addition, there were a few instances of East India Company officials marrying women from aristocratic Muslim families. While this practice of forming 'native connections' helped to familiarise white men with local customs and languages, it also resulted in a host of half-caste children who were despised by both races. British outlook on India in the late eighteenth century was coloured by the philosophy of the Enlightenment and the conscious adoption of a policy of non-interference by the East India Company. The group known as the British 'Orientalists' contributed to the rediscovery of a glorious ancient past which had been forgotten." However, notwithstanding all the invaluable contributions that the Orientalists made to Indology, one needs to remember that eventually they too were colonialists." 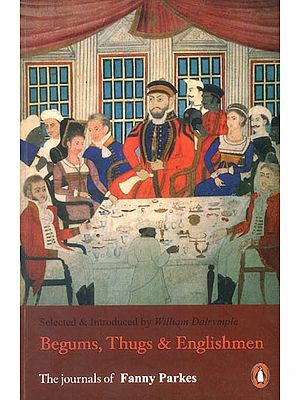 By the first few decades of the nineteenth century British attitudes were changing and had come to be far removed from the relatively tolerant early years of colonial interaction. The period between the 1830s and the 1850s came to be dominated by Utilitarianism and Evangelicalism. Both Evangelicals and Utilitarians saw India as a decadent society in urgent need of reform. The abolition of social evils as well as the introduction of English education were their main objectives. In his History of British India (1817) James Mill, the Utilitarian historian, harshly condemned Indian culture as inferior to that of the European Middle Ages and later Macaulay's 'Minute on Education' (1835) dismissed all Oriental literature as intrinsically inferior to Western literature.